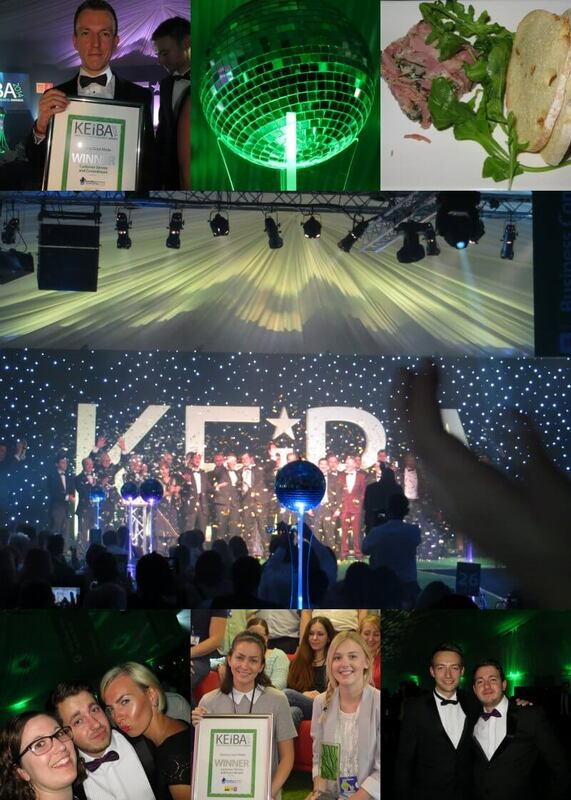 Yesterday evening, ten giants attended the glittering KEiBA gala night held at the Kent Event Centre, Detling where we picked up a coveted award. We are extremely proud to announce that Sleeping Giant Media won the Customer Service and Commitment Award. The Kent Excellence in Business Awards (KEiBA) are an annual event to celebrate the achievements of businesses and individuals across the county. Organised jointly by the KM Group and Kent County Council, the KEiBAs are highly sought after awards and the judging process is very tough. Hundreds of applicants were whittled down to just 46 finalists, of whom only 15 could take home a trophy. It was absolutely fantastic to win an award. 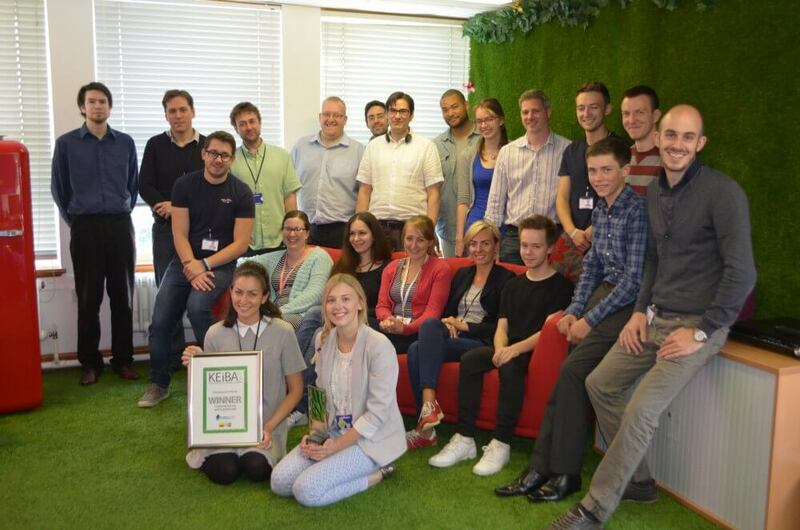 We work very hard to champion customer service within the business; it’s brilliant to be recognised for this. We had a great evening. The venue was decorated wonderfully and the food was delicious. Thank you to the organisers for putting on a fantastic event and coping so well when the waiting staff didn’t arrive! Even if we hadn’t won, we would have had a good night. Taking home the Customer Service and Commitment Award was the icing on the cake. You can find a list of all the winners on the KEiBA website.